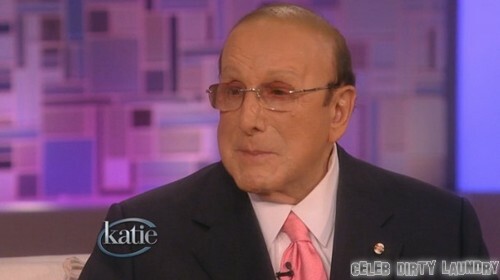 Music industry executive and record producer Clive Davis has revealed in a new interview with Katie Couric that he is bisexual. The music mogul opened up to the talk show host on her show “Katie” after releasing his autobiography “The Sound Track Of My Life”. The “man with the golden ears” told Katie that he respects monogamy and that his relationships have always been about the person without regard for their gender. At 80-years-old, it is quite the revelation, but we’re glad that he’s putting that out there. He probably had that on his bucket list, don’t you think? In addition to writing about his own sexuality in his memoir, Clive dedicated an entire chapter to his special relationship with fallen songbird Whitney Houston. He states that she was in complete denial about her excesses and that he cried after seeing her perform at a Michael Jackson tribute concert in 2001. Are you more interested in reading about his sexual past? Or would you prefer to hear more about his dealings with mega-stars such as Whitney, Kelly Clarkson, Alicia Keys and more? We’re fascinated by all of it and cannot wait to pick up his book. What do you think about his revelation that he’s bisexual? We say kudos to him for opening up about it!